We realize the sheer amount of information we have here and the plethora of services we provide can be a lot to take in all at once. Perhaps there are some unanswered questions you have after browsing our site. We can help! We have compiled a list here of the most frequent questions our clients ask and have provided our best answers to those questions. If you still have questions that are not covered here, we want to answer those too! Please use the form on our contact page and we would be happy to explain anything at all about our services. After you have received your confirmation e-mail your car is guaranteed to be waiting for you at the location and scheduled pick up time you requested. We will arrive at your location 5-15 minutes prior to the scheduled pick up time. We guarantee that we will pick you up on time or 100% of your money back. At both O’Hare airport and Midway airport, there is a center-line in the lower level of the terminal, where we will pick you up after you call us to let us know that you have arrived. If you would prefer, please order the optional Meet and Greet service for an additional $25. With this service, the driver will hold a sign and meet the passenger/group at the arriving flight’s baggage claim. We monitor your flight, so that we are waiting for you at the airport according to your flights landing time. You do not need to call us if your flight is delayed. If you change flights, you must call us with the new flight info. Yes! We will gladly place a courtesy call to remind you of your reservation, at the time of, a few hours before, or the day before, your pickup. At the time of the reservation we take a credit card over the phone or online reservations. 24 hours prior to the pick up date we take an authorization on the card to guarantee funds availability. It will show as “Pending funds” on your credit card account statement. The authorization amount is usually higher than the expected charges, just in case if you decide to make an additional stop you did not inform us of or change your destination. The final charge from A1 Classic Limousine Group will occur after the services provided by our company are complete (most sales will show on the same day). 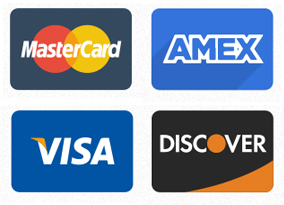 We accept cash, MasterCard, Visa, American Express, and Discover. 20% gratuity will be automatically added to your reservation, but you may change the amount any time before or at the end of your ride! I. “Hourly” itineraries include unlimited unplanned extra stops, within the booked time period, free of charge. The driver is considered to be “On-Call”. II. For all other itinerary types, including one-way and round trip itineraries: A. Extra stops which you specifically mention when you fill out our online reservation form are included in the rate quote. B. Extra stops which you do not specifically mention when you fill out our online reservation form are considered extra stop/s and a fee applies. The fee depends on distance traveled and type of limo. You may be required to pay a waiting fee in order to receive service if you are (A) more than forty five (45) minutes late for your pickup from an airport or (B) more than fifteen (15) minutes late for your pickup from any other location. The waiting fee is $15.00 per fifteen (15) minute period or fraction thereof. If you are (A) more than sixty (60) minutes late for your pickup from an airport or (B) more than thirty (30) minutes late for your pickup from any other location, we reserve the right to cancel your pickup with no refund. However, please attempt to contact us as we might be willing to give a partial refund in certain situations. We require at least 2-hour notice to change or cancel your reservation for sedans, SUVs, and limousines. We require 7 day notice for all other specialty vehicle such as Hummer, Ford SUVs and party buses. If you cancel less than two hour before your scheduled pick up time, we we reserve the right to charge a 100% cancellation fee. However, please contact us as we might be willing to give a partial refund in certain situations. Failing to notify of us to cancel your order at least 2 hours prior to the pick up will be charged full rate minus gratuity. What type of Limos are used for my transportation? Our fleet consists of luxury sedans, SUVs, stretch limos and stretch SUVs. All of our cars are less than 5 years of age. Luxury Sedans are either Lincoln Town Car, MKT, MKS or MKZ. SUVs are Lincoln Navigator and Ford Expedition. Stretch Limousines are all Lincoln Town Cars. Stretch SUVs are Hummers and Ford Excursions.